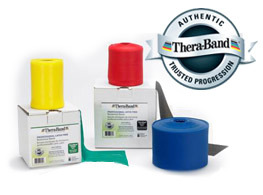 Our Thera-Band® rolls are 150 feet long, which is long enough for 25 6-foot long pieces. 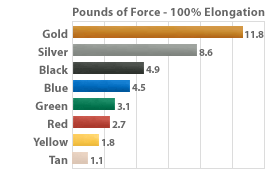 The cost per 6-foot long strips is considerably lower when purchased by the roll. Cutting the rolls is quite easy, and can be done with a normal pair of scissors. TheraBand® provides the only resistive exercise bands endorsed by the American Physical Therapy Association (APTA). These 5'' wide latex bands come in different, color-coded resistance levels, distinguished by the thickness of the band allowing you to easily monitor your progress from one level to the next.